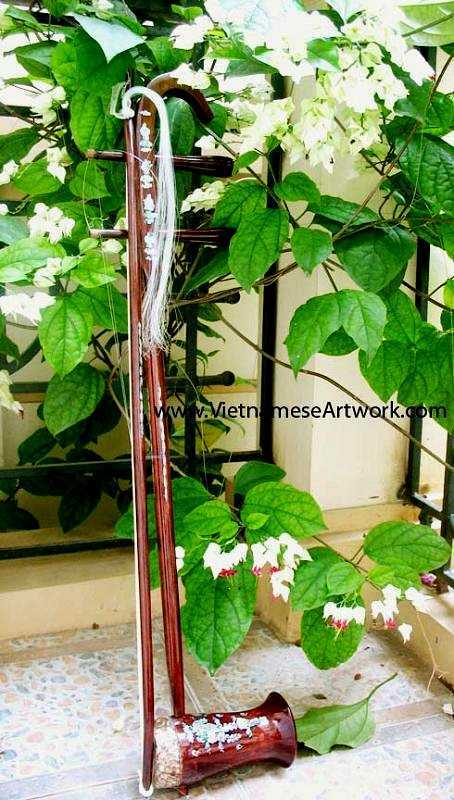 Dan Nhi, or violin has 2 strings of nylon and metal, having a long handle and a sounding case covered by a snake skin. 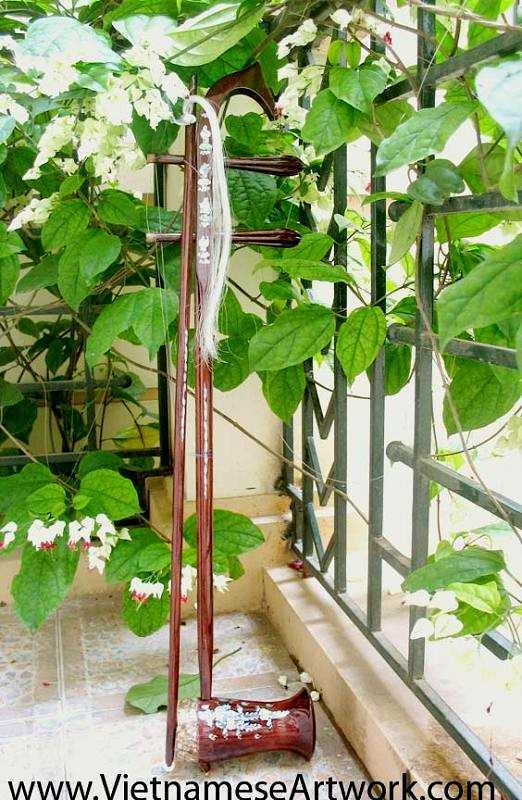 It emits melodious sounds, while conserving the clarity of tone for which the related Chinese and Indian instruments are noted. This instrument has a soft bag with zip, handle and shoulder trap, which make it easy to carry around.